Convenient parking just down the road from the start of the track. Animal feeding point just before final climb. 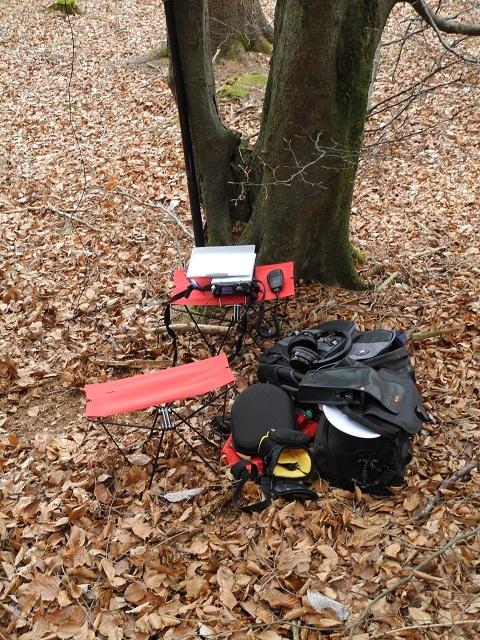 For my second SOTA activation after moving to Germany, I decided on a very local summit (only 20 mins drive from where we are staying). 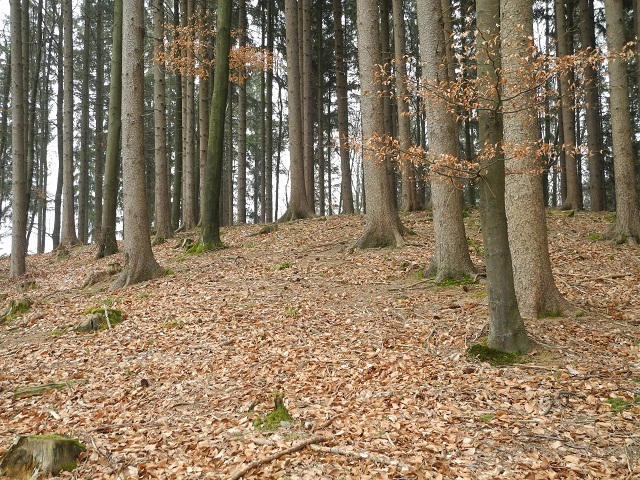 Berndorfer Buchet (DL/AM-180) is a small hill in a forest between the Ammersee and Starnbergersee lakes about 30 km SSW of Munich in Bavaria. I had managed a quick “reccie” the preceding Sunday and access was reasonably straight forward with about a 10minute walk from the road (the track is forestry services only) and then a steep climb of about 5 minutes to reach the summit. Being a forest, one issue I realised was that there were very few small trees where I could strap the “squiddy” pole. 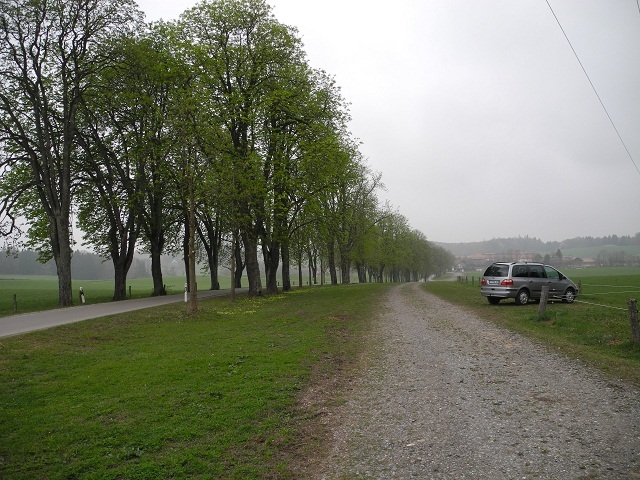 Most trees were very tall meaning the dipole wires would be touching the wood (not a good idea). Initially I planned the activation for Tuesday the 8th. of April however as the weather forecast was not good for Tuesday or Wednesday, I decided to go with Thursday again, when a beautiful, sunny, dry day was forecast….. Although I have a small amplifier that works well on 40m and helps a little on 20m, for simplicity, I decided to run just the FT-817 with the internal 2200maH LIPO, which I used on Peissenberg the week before. So all was charged up and packed ready by Wednesday evening. When I woke up on Thursday expecting a nice sunny morning the sky was grey and it had rained overnight. Not deterred as it wasn’t “actually” raining I set off as planned. On reaching Berndorfer Buchet, it was still grey and cold, but no rain although the track and especially the climb up the hill (now carrying several kilos of gear), was slippery so it took a little longer to ascend than on Sunday. Climb up to summit – lots of slippery leaves! I had found just one small tree on my Sunday and checking around I concluded this one was the only option. Unfortunately this small tree had several branches and twigs at a height I could not reach but blocked the direction that I wanted to run the dipole in. In trying to get the dipole wire over some of these branches, I managed to get the antenna stuck and in trying to clear it, the wire broke. I then still had part of the dipole stuck and one final tug resulted in the wire coming down but also me catching and scrubbing skin off my fingers on the side of the tree. Not a good start to the activation! After applying some plasters and stripping and winding together the broken wire, I had a second go at getting the antenna up. On the basis that any antenna is better than no antenna, I decided to run the antenna at a slightly lower height, so as to miss most of the branches. (Ernie VK3DET was a good 5-7 signal but I know he had to really fight the QRM and QSB to make the contact – Thanks Ernie). By UTC 08:00 the (20m) band had closed and as I finished the contact with F4FWO, the rain started, so I decided to call it a day. What did I learn from this activation? It appears the best window from long patch EU-VK contacts at the moment is 06:00-08:00 UTC. Don’t pull so hard on the antenna if it gets stuck in the branches. More power is needed, 5W is really on the border line for contacts, 20W is more likely to get through. The LIPO battery installation within the FT-817 works very well. On returning home my new German Amateur Radio licence (which I had applied for just two days earlier) was in the post box. So from now on the activations will take place as DD5LP – a reciprocal call that I had 20 years ago ! DD calls are usually only allocated to clubs nowadays, but as I had had it previously and it was not taken, I was re-issued it. 73 until the next activation. 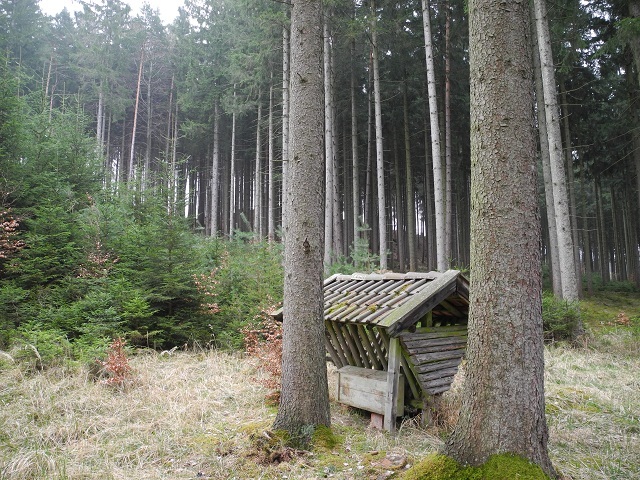 This entry was posted in SOTA and tagged Berndorfer Buchet, DL/AM-180, SOTA by VK2JI DD5LP G8GLM. Bookmark the permalink.